Title: Hand-coloured Map of Cabool, Punjab, Beloochistan circa 1851. 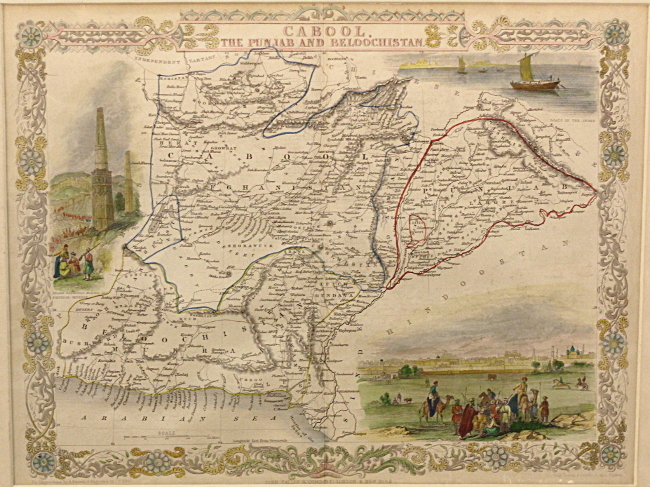 Map drawn by J. Rapkin, illustrated by A. Fussell, engraved by J.B. Allen, by John Tallis for R. Montgomery Martin’s Illustrated Atlas. With 2 vignettes depicting Sultan Mahmoud’s Minars and a park in Lahore. Condition: Mounted on white, wrapped in plastic. In excellent condition. Fold in the centre.